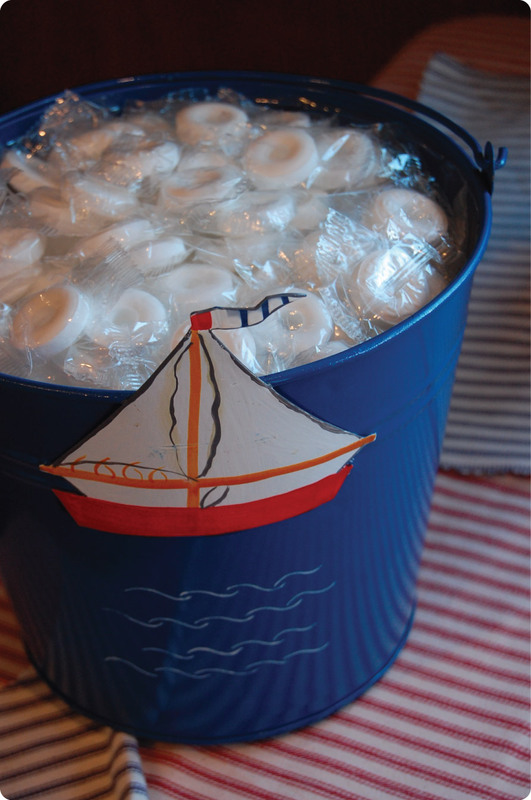 The HAP girls were recently hired to deck out the Milwaukee Boat Line’s Voyageur for a nautically themed rehearsal dinner. 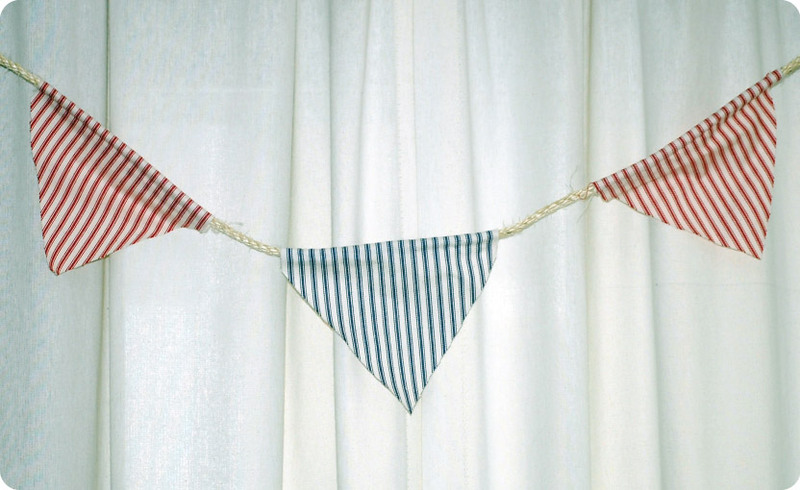 Inspired by vintage sailboats, we used a red and blue theme, incorporating ticking fabric, wood, rope and a few other nautical touches. 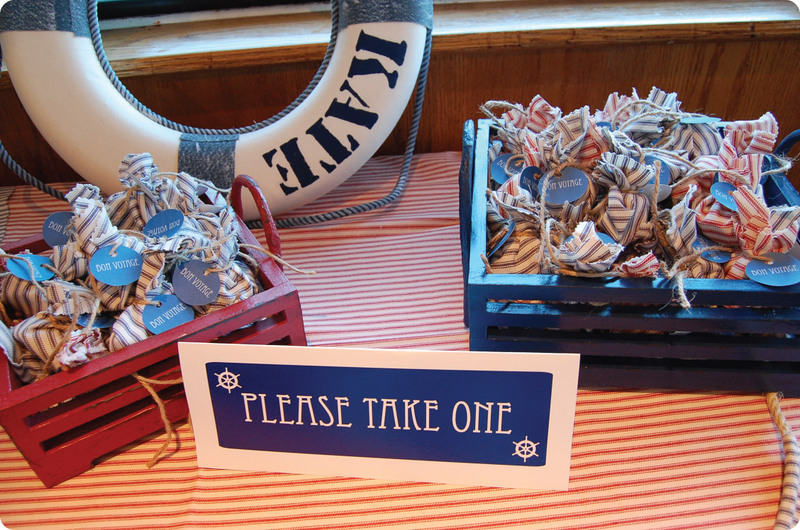 Using a sponge brush and navy paint, we stenciled the bride and grooms names to a lifesaver to adorn the favor table. 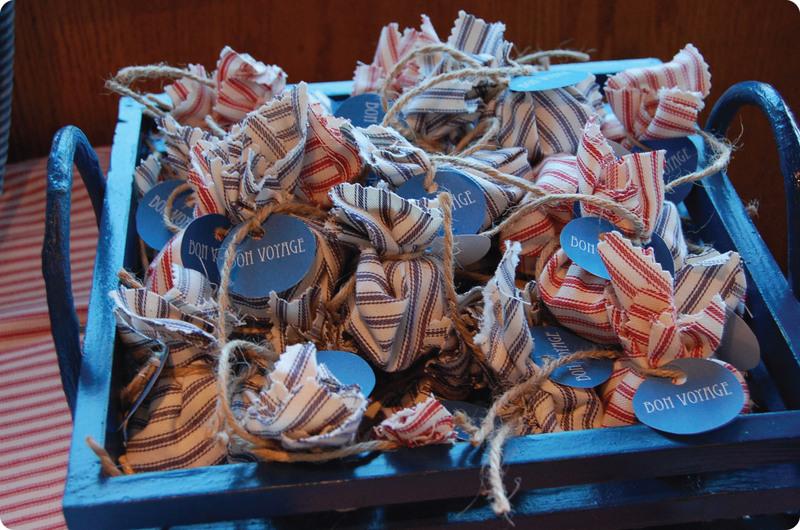 Guests were treated to salt water taffy wrapped in blue and red ticking fabric with a Bon Voyage tag, that nested in rustic blue and red wood crates. 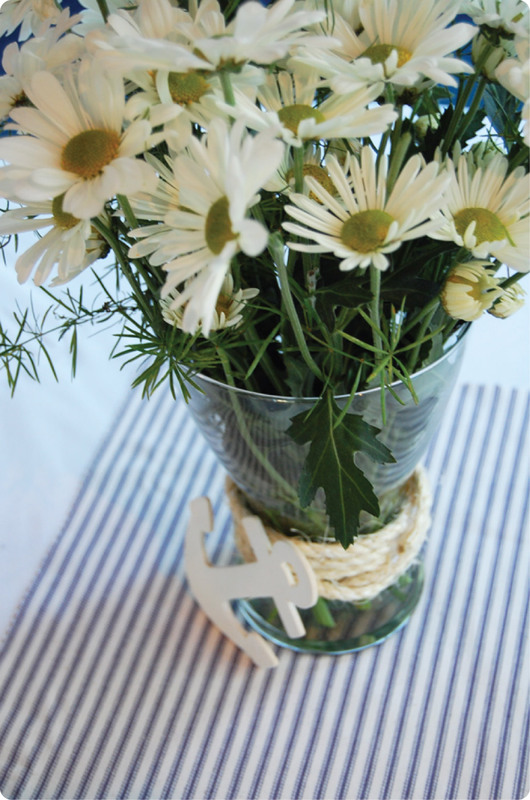 Each centerpiece was wrapped in nautical rope and held Daisies and Sprengeri. 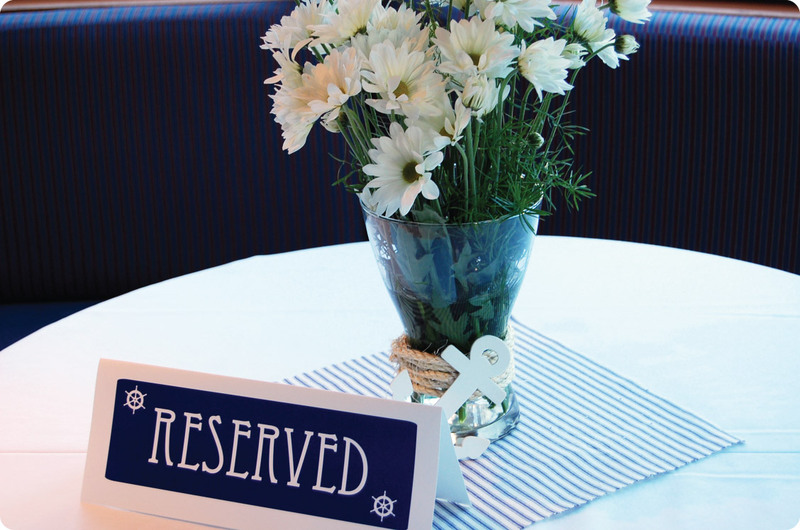 A painted wooden anchor rested against each vase on top of a small blue ticking fabric placemat. 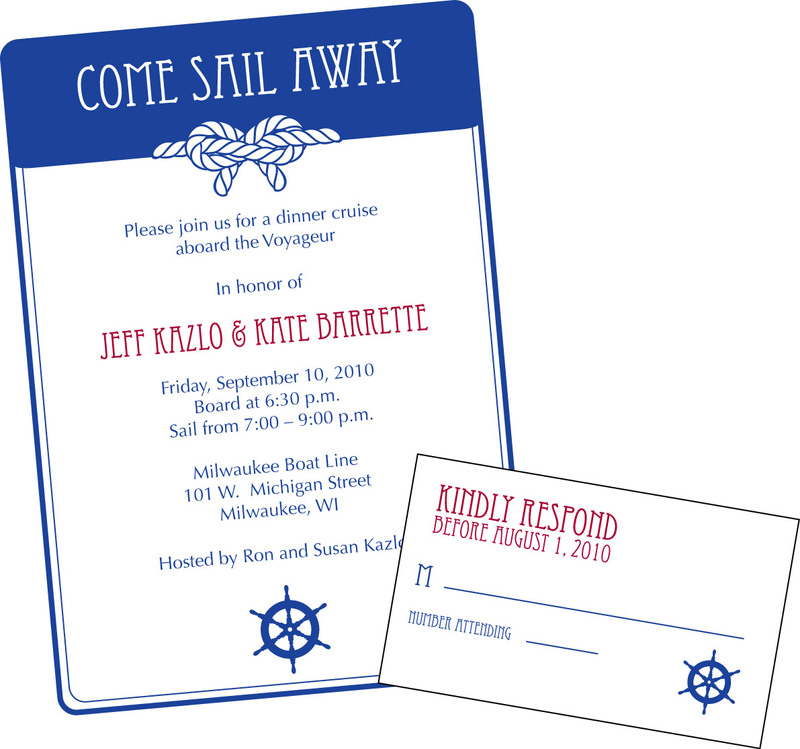 Guests were mailed a Come Sail Away invitation, mailed in a blue envelope, along with a response card. The invitation is available in my Etsy shop, Morning Star Designs. Even the babies dressed up for the event! 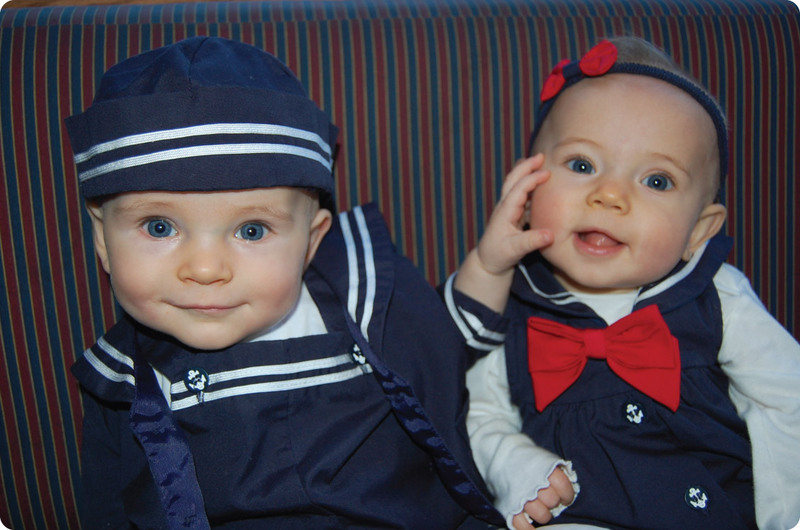 And no, they are not twins, they are cousins – 9 days apart! 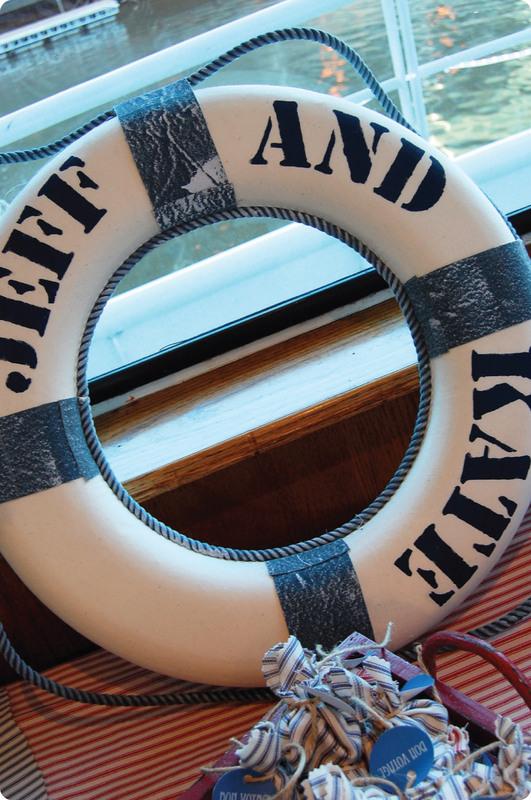 Congratulations to Jeff and Kate – thank you for allowing Haute Apple Pie help make your weekend extra special! SO adorable! 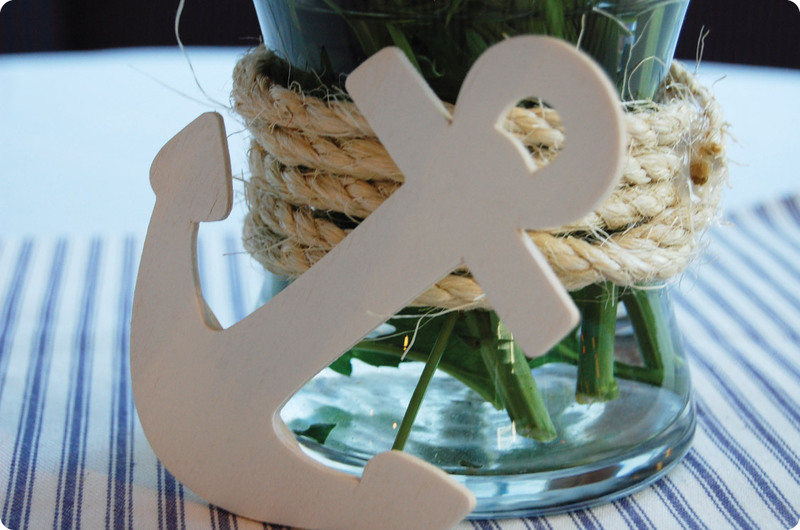 Love anything nautical. Great job ladies!